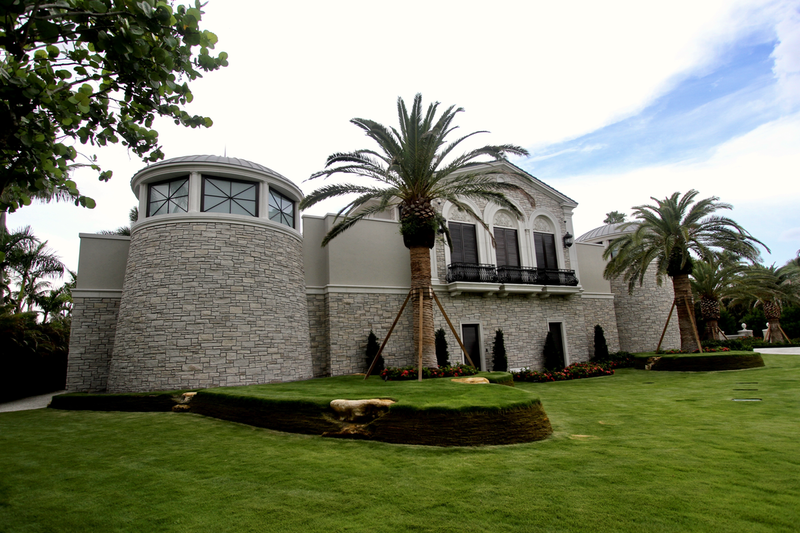 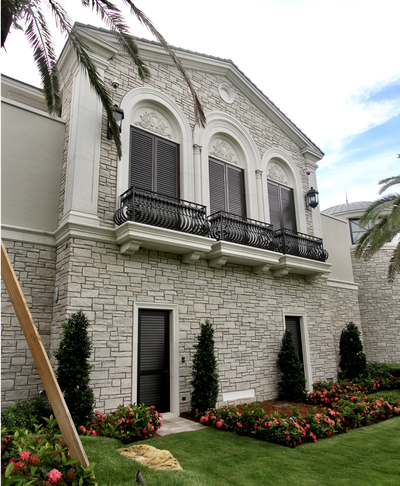 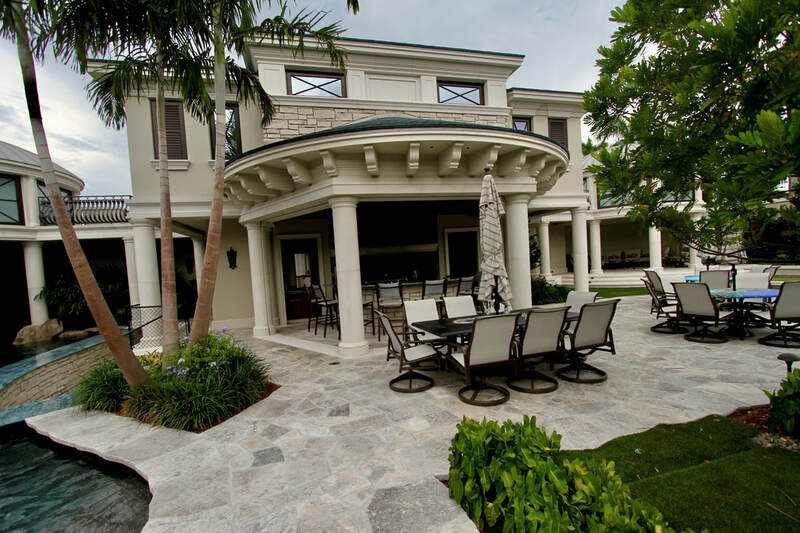 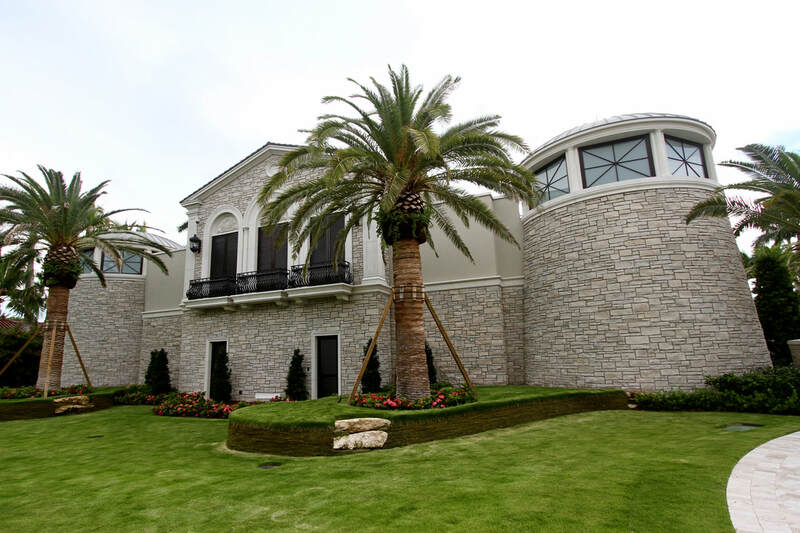 Due to the beachside location, this residence needed a concrete and block structure to withstand a Hurricane, case in point, “IRMA” registered winds at Naples Airport 150 MPH. Not a scratch! 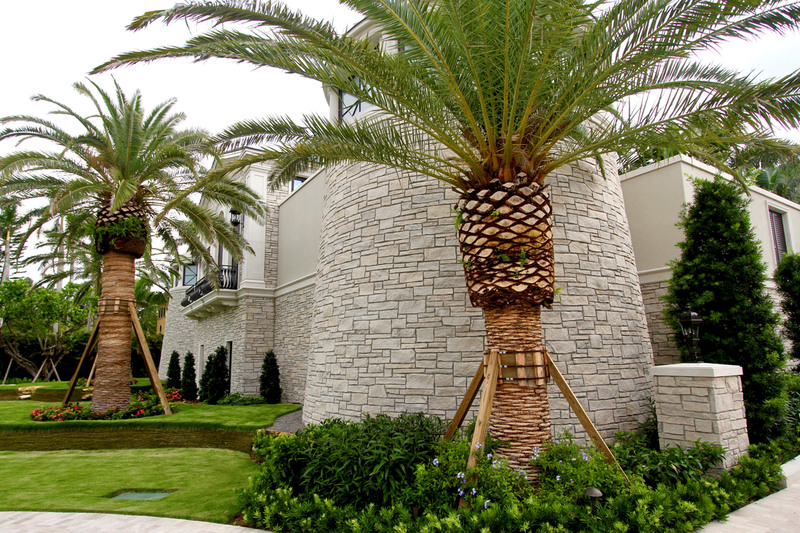 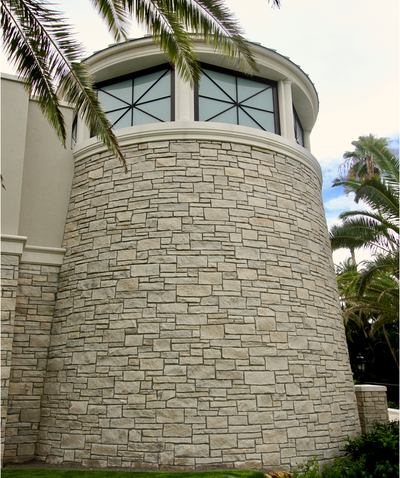 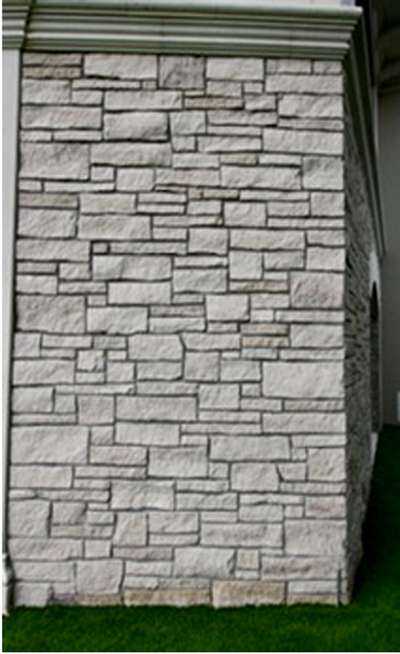 ​The stone exterior veneer is "Alabama silver shadow". There were three estimations on square feet all totals came in at 10,000 sq.ft. 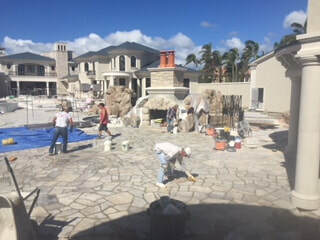 Then they added 420 sq.ft . I used a 50/50 mix of Portland and masonry. 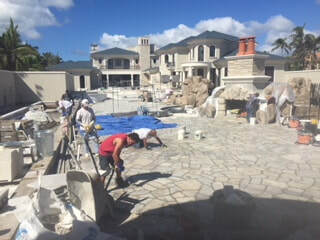 I also used anti-hydro in the mix and a sealer Dry-Treat SK40. 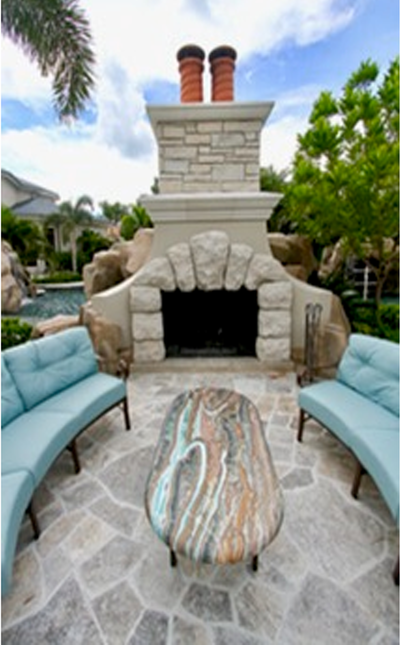 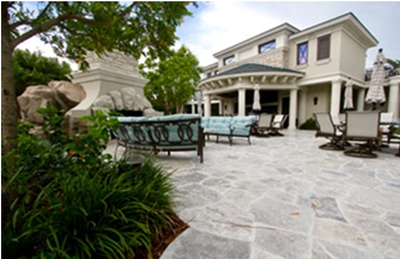 The pool deck stone was Silver Travertine. The stone came in 2x2 squares. 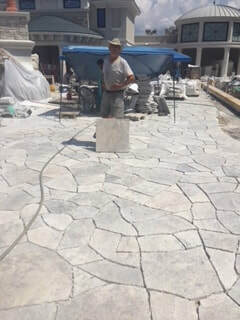 We cut the stone into random shapes. 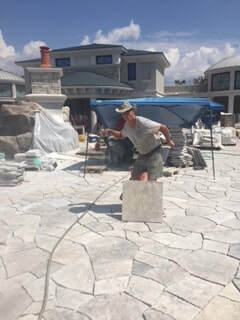 Then we cut the stone again to fit! 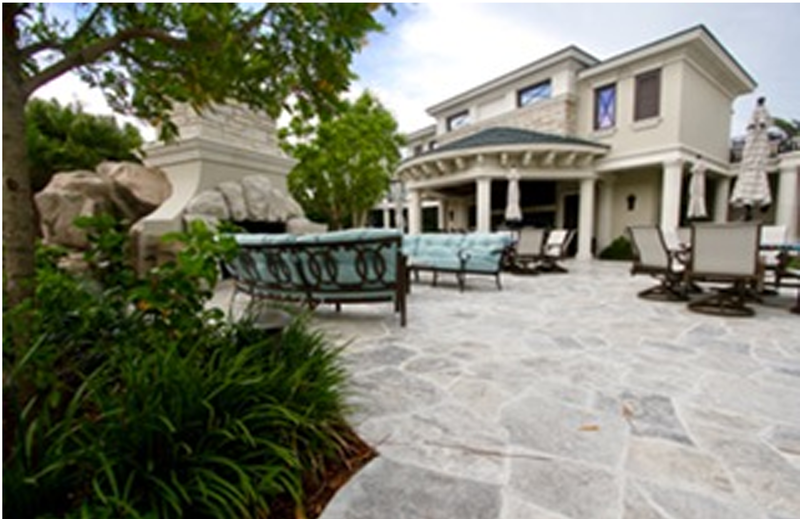 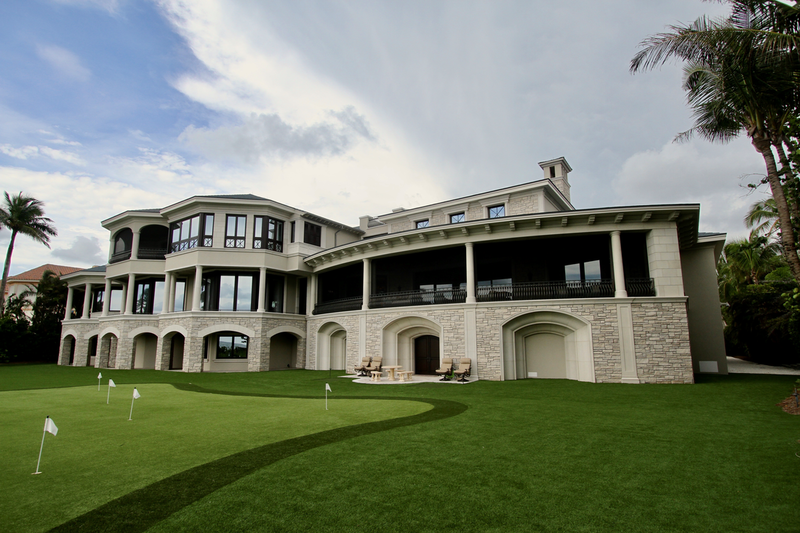 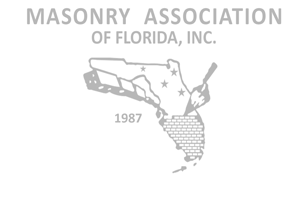 There is2,768 sq.ft.of stone flooring. 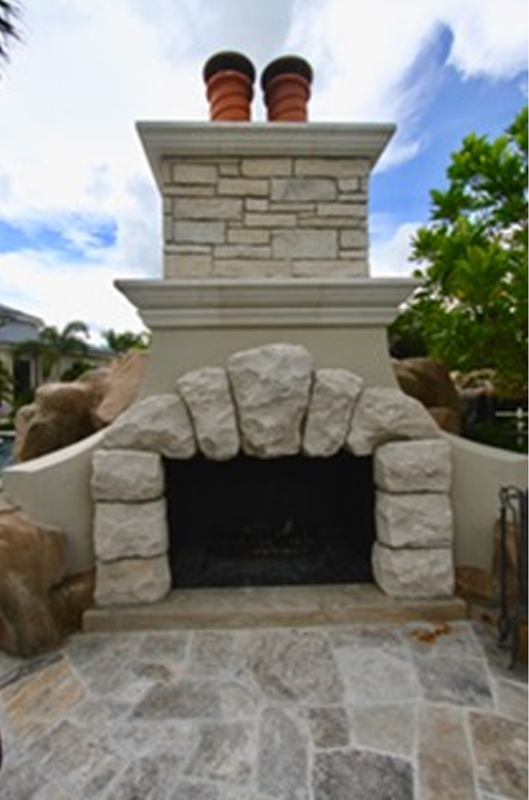 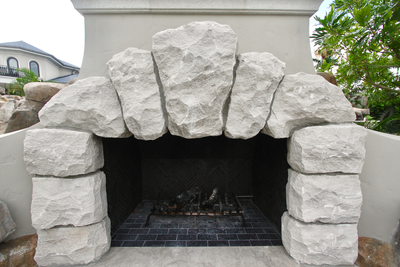 The outside fireplace is hand built, with brick, masonry and concrete. 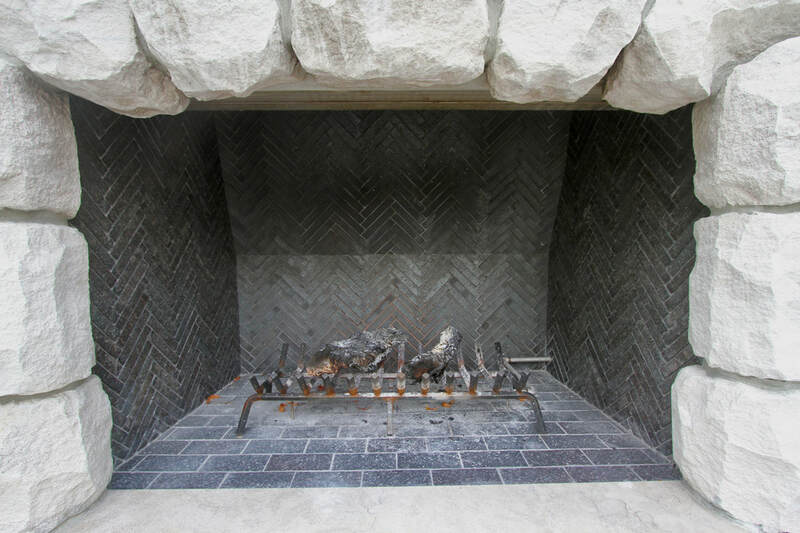 The firebox we used Endicott Manganese 1 1/4 “splits” brick Herringbone pattern. The stone surround was same as exterior of the home.